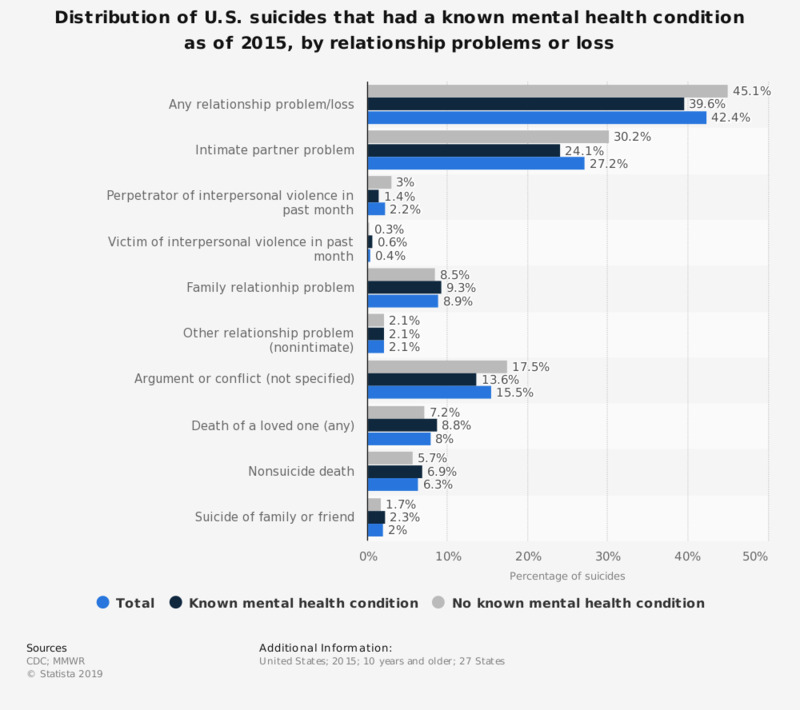 This statistic depicts the percentage of U.S. suicides with known or unknown mental health conditions as of 2015, by previously known relationship problems or losses. According to the data, around 27.2 percent of all suicide victims that year experienced an intimate partner problem. Furthermore, 30.2 percent of suicides among those with no known mental health condition experienced such relationship problems.